If any of the following statements sound like you, then this how to guide to stocking your first home bar is going to be the perfect read for you. 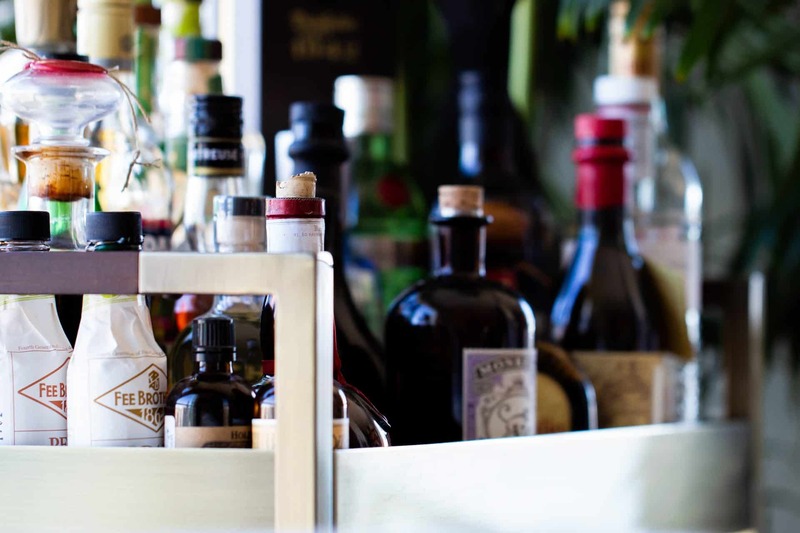 First off, there is no right or wrong when it comes to stocking your home bar. Everyone has their own preferences and styles, and I am not here to judge or to interfere with your creative process. But for those new to home bartending, it can seem intimidating and an expensive hobby to take on. Understanding and building from the fundamentals is key to having a successful home bar, and I’m here to break it down for you. The most important thing to remember is to use this as a guideline and reference. If you only drink vodka water, then this may not be the best read for you. But if you are becoming a bit of an enthusiast and want to be able to make a range of classic recipes, then you’ll definitely want to start here. I breakdown this article into 3 portions and that is What and How Much Do You Actually Need?, Essential Tools of the Trade and Brands I Trust. What and How Much Do You Actually Need? There is no if, ands or buts about this. I always have these 5 stocked, so that I’m prepared for whatever palette that comes over. And believe me, you won’t believe how picky your friends are until you start making cocktails for them. So be prepared, and ready to handle whatever challenge that comes your way. Now when it comes to stocking your personal favourite spirit, make sure to carry a range. For example, I’ll typically carry 2 to 3 different Gins and Tequilas (being as they are my favourite). All three have very different tasting notes from each other so that I can offer a range. Most importantly though, is carrying an easy, affordable product that has the typical characteristics of that spirit. You won’t feel as guilty experimenting with the product knowing you spent less than your premium selection. 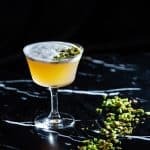 Now just because it is a cheaper product, doesn’t mean you can’t get a quality cocktail, so make sure to do a bit a research or refer to my list below. Tastings are a great way to learn, and sometimes it’s best to hit up a bar and ask the bartender to offer a range of products that they carry. Finding an open and honest bartender is not that difficult, just be nice, open-minded and tip at LEAST 20%. I don’t think I have ever gone a day without these stocked on my bar. The reason I’ve picked these items, is because they offer such a range of versatility that is unmatched with other liqueurs. 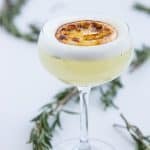 You have a mix of aperitifs, amaros and traditional sweet liqueurs, which range in flavours from bitter, herbaceous and sweet. Now if you are a major pomegranate fan, and want to put that in everything, then pick it up! But it terms of classic flavours and some of the liqueurs you can get a lot out of it, I would definitely refer to this list. 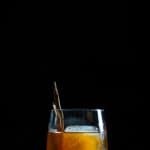 Bitters play a vital role in cocktails, although few truly understand it. If you had to choose one and only one, then Angostura bitters is the way to go. I really don’t think it’s necessary to have a library of bitters. It’s expensive, and a lot of times, it just sits on your shelf. My bitter selection is few, but they offer a wide range of flavours, sticking with basic ingredients so that it can be easily paired. This is an important one for me, and something I always have on hand. I do not drink pop, I haven’t for a long time now, but when it comes to cocktails, I have the entire range. I always have a case of coke, ginger ale, soda, tonic and sprite stocked up in my pantry. Ginger beer is also an essential one for me, and finding a quality ginger beer is like finding Wonka’s golden ticket. When you do, cherish it, love it, and stock it as much as you can. In addition, when making sparkling cocktails, I always carry half bottles of sparkling wine. Since I’m not the biggest fan of sparkling wine (I know, shame on me), I hate having to open up a bottle of sparkling and having it go to waste or lose its fizz. So I like to have a pack of 6 half bottles of sparkling/champagne available for whatever creative thought that jumps to mind. 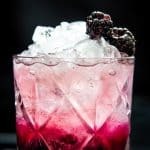 Bitters – Until you want to start getting hard and heavy with the cocktail scene, start off with the basic Angostura bitters, and start to build your library from there! Mixers and Carbonated Beverages – Carrying a range of pops is essential for your home, and when working with sparkling cocktail, make sure to carry half bottles so it doesn’t go to waste! 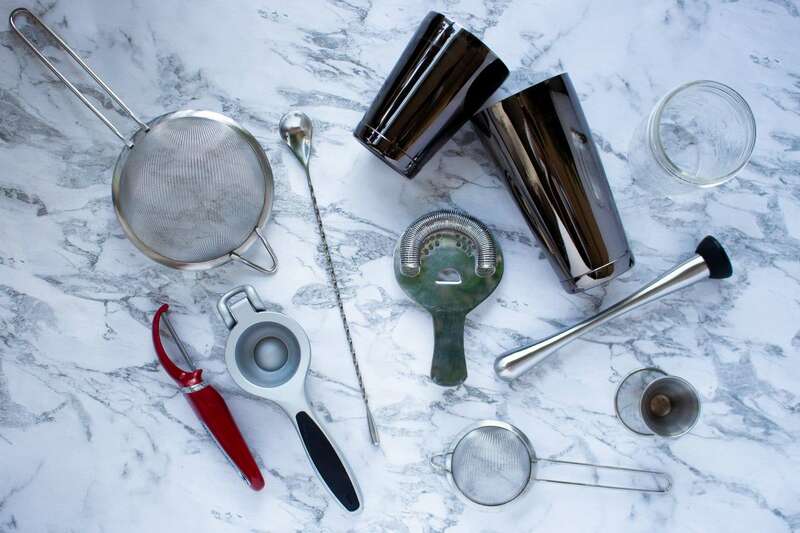 You may be shocked to discover how little you actually need, but what I’m about to list for you right now is an absolute must to making your home bartending life much easier! Jigger – You know how I mentioned earlier that there is no right or wrong when it comes to stocking your bar? Well, when it comes to debating whether you need a jigger or not, I do not contest with this. IT IS A MUST. 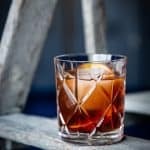 There is a reason why recipes call for just a ¼ oz of a liqueur, because anything more will completely destroy your cocktail, and do you really want to waste alcohol? DO YOU? When selecting a Jigger size, I keep it simple and grab one with a 1 oz : 1.5 oz pour. I know I’m the type that will forget the exact measures, unless it’s blatantly written on the jigger. So to keep it simple, I purchase jiggers with rounded measures. Strainer – There is two essential strainers you need. A Hawthorne strainer and a small fine mesh strainer. Now if you have the space, pick up a variety of sizes when it comes to fine mesh strainers, because it’s INSANELY useful when creating your own syrups. It’s also something I use a lot in my day to day kitchen use, such as rinsing my rice. So see this as an investment to upgrading your cocktail and kitchen game! Some form of Cocktail Shaker – Now I personally like the traditional Boston shaker, but I’m not saying you have to get the fanciest or most expensive one. Just make sure to grab one with a heavy bottomed tin that holds 28 oz (Good for two drinks), with a glass or smaller tin to seal. Now if you REALLY don’t want to spend the dough, you also have another option. You know all those random mason jars you have lying around the house? Why not throw the ingredients inside and shake!? I got this idea from a team of mixologists that were as enthusiastic as I was to make home bartending approachable. The mason jar can also act as a mixing glass for stirred cocktails! Stirring Spoon – I find stirring spoons so convenient. I know you can be ghetto and use a knife or a spoon, but there’s a reason why it’s crafted the way it is. So do yourself a favour and get the proper spoon! Citrus Juicer – The simple handheld juice press is good enough for me. It makes dealing with lemons and limes so much better and I find you get a lot more out of it! Again, a convenient tool for the kitchen and bar, so get on it! Muddler – I actually use my muddler in a number a ways. Don’t have any crushed ice? I toss it into a shaker tin with ice and start banging it out. Need to crush up some spice? The Muddlers gotchu! So other than the obvious muddling of mint and fruits, it’s become a very handy tool in the kitchen. Peeler – People don’t realize the power of zests and peels! It makes an insane different in taste, aroma and the overall experience in a cocktail. I’m sure you peel potatoes, so having a peeler isn’t that difficult to add to your list. And that’s it folks! Obviously as you advance your skills, there are other tools that become extremely useful and handy, but for someone starting off and looking to get the very basics, this is the way to go. Before I dive into some of my preferred brands, I want to state that I am not being paid or sponsored by a brand for this post. This is completely my views, and some of the stuff I’ve fallen in love with during my years behind the bar, exploring the liquor store, in seminars, and through my years of travel. Now I’ve listed off brands that are typically accessible at the LCBO. For those not restrained by Ontario’s selection, well lucky you. But for now I’ve listed off a few brands from cheap and cheerful to premium selections that I like to work with. Reminder: If I could, I’d add a lot more to this list, but again, I’m trying to stick to the point of what is typically accessible for the general public. Okay, okay, I may have thrown in some super rare bottles (Angels Envy Rye and Monkey 47 Gin), but I’m pretty obsessed with them so I couldn’t help myself. I also broke down the Whisk(e)y’s because the selection and genres out there is massive and it’s hard to keep it under one category. There you have it, my in-depth look into stocking your home bar with the essentials! I’d love to hear your comments and reviews. Until next month. CHEERS xo!